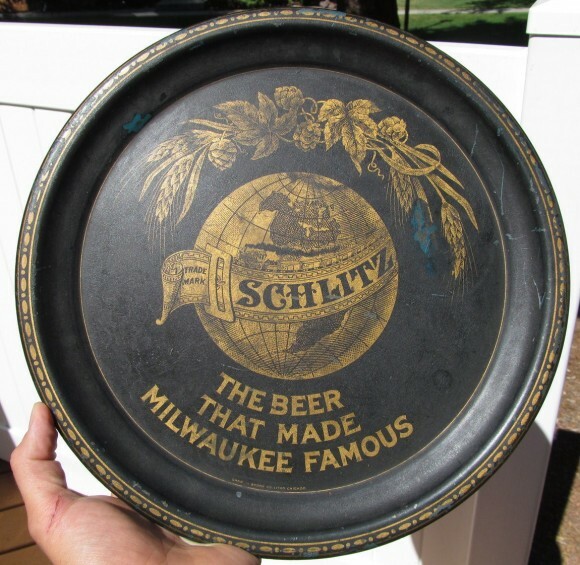 Serving Tray for Schlitz Beer. The text at the bottom states The Beer That Made Milwaukee Famous. A globe in the central figure on this tray.